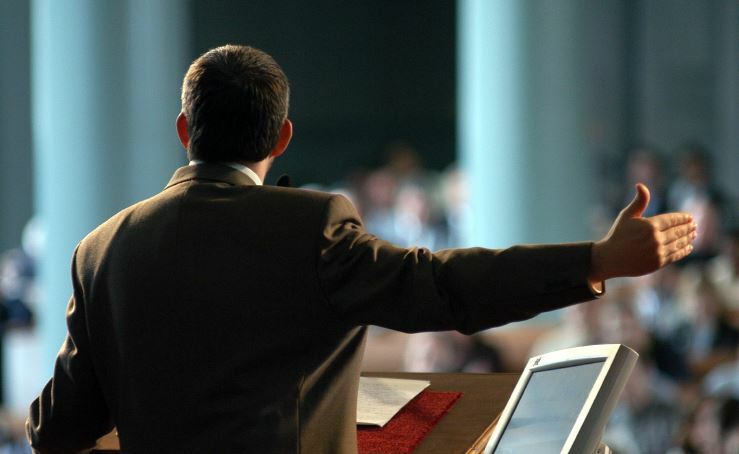 One of the most common fears we have is fear of public speaking. Our fear is of publicly humiliating ourselves, being ridiculed or rejected. 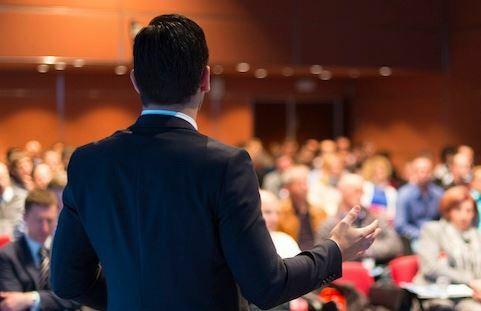 Most people are nervous when talking in front of an audience, but gaining audience attention is a skill that can be developed. Here are some quick and simple tips to help you prepare, practice and improve your public speaking ability. Public speaking is so much easier if you’re interested in the topic you’re talking about. Learning all about your subject will make you feel more confident. Learn more about your topic than you expect to include in your speech. This will help you deal with questions from the audience or diversions in the topic to follow the audience reaction. Rehearse out loud with all the equipment you plan to use. This allows you to create a contingency plan to allay anxieties should your speech be affected by audience reaction or presentation fails such as a software failure. Take your two biggest concerns and create a contingency plan. What will you do if the projector fails? What if your time is cut short due to previous overruns? Even if something happens unexpectedly, the fact that you’ve considered contingency plans for other scenarios enables you to think on your feet much more effectively. Greet some of the audience members as they arrive. It’s easier to speak to a group of friends than to strangers. Use personal stories and conversational language to help you both engage with the audience. Take your time and never read out your speech word for word. Don’t defer answering questions until the end of your presentation. If a question is asked in the middle of your presentation it’s an opportunity to build on the interest that’s been shown. The best presentations are like a conversation, so you may have to skip to a presentation slide or prop to continue your interaction with the audience. If you’ve practised using your presentation materials, moving the sequence won’t throw you. Arrive early, walk around the speaking area and practice using the microphone and any visual aids. Walk the room ahead of time to check sight lines. Check microphone levels. If you can, run through your presentation at the site to ensure it’s ready to go. If you can find a routine that is beneficial to you giving a good talk, you’ll find this gives you some comfort and confidence. A good actor is always anxious before going on stage. However, you can ease tension by doing exercises to transform your nervous energy into enthusiasm. The easiest way to rid yourself of anxiety is to exercise, whether that be a short walk or a workout at the gym beforehand. Imagine yourself speaking your voice loud, clear and confident. Visualize the audience clapping – it will boost your confidence. “Fake it to make it” – aim for how you want to feel. There’s no need to apologise for any nervousness or problem. It’s likely the audience haven’t noticed. Audiences want you to be interesting, stimulating, informative, honest and entertaining. They don’t want you to fail. They won’t be expecting perfection. Be natural, use hand gestures and facial expressions to connect with your audience. Any mistakes, just get back to business. Concentrate on your message and your audience. Use audio-visual aids or props for enhancement if appropriate and necessary. Master the use of presentation software well before your presentation. Do not overwhelm your audience with excessive sound clips or animation. Never put a lengthy document in tiny print on an overhead and read it out verbatim. Your speech should have a logical progression from an introduction of your idea, your supporting arguments and evidence and a concluding summary. Leave your listeners with a positive impression and wrap-up your talk with an interesting remark or an appropriate punch line. Experience builds confidence, which is the key to effective speaking. With experience, public speaking can be fun.